We return to California, and this week it’s Pebble Beach’s turn to play host. The three courses here at Pebble Beach, all come in at under 7,000, bur provide a great test all the same. The main course, which will be played for 54 holes is Pebble Beach Golf Links (6,816 yards), and both Monterey Penisula CC ( 6,838 yards) and Spyglass Hill GC (6,953 yards) also feature in this event. Couple the wonderful courses, and surroundings with a great event provides great entertainment. The format is similar to that of the Humana Challenge, and the celebrity players are a big part of the event, with them being a focal point on the television coverage. The golf however is played to a very hight standard and scoring will be very low this week, as it always is in this event. There is a huge emphasis on tee-to-green play here, and if you can keep the putter warm, you will no doubt be in for a huge week, here at Pebble Beach. 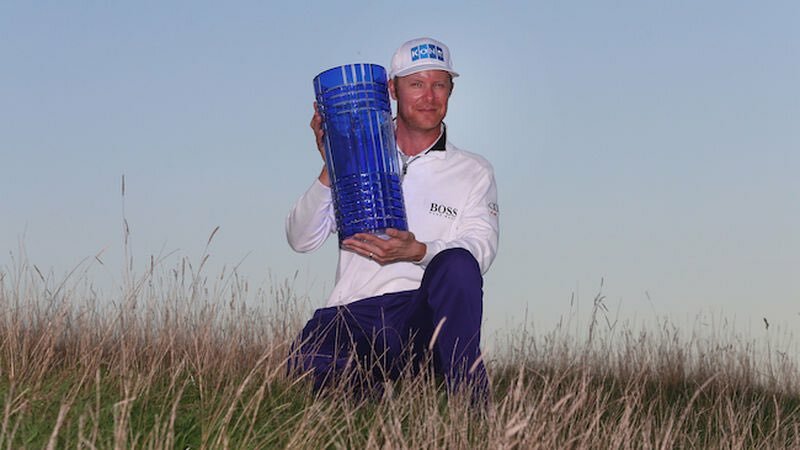 That was certainly the case for 2013 champion Brandt Snedeker, who broke the tournament record, with a 267 aggregate score. He won with a -19 score, and a similar score will probably be required this time around. Jason Day is the hot favourite this week, coming in as low as 9/1, with 12/1 the best price you can get about him for the win here. Also 12/1 is past champion Dustin Johnson, who is back in action, for the first time since the Hyundai Tournament of Champions, where he finished T6. Making up the rest of the top-5 in the betting is two-time winner here, Phil Mickelson (14/1), Hunter Mahan (18/1) and Jordan Spieth at 20/1. Although you could make a very strong case, for all those at the head of the betting, a couple of the prices, particularly Jason Day’s come as a bit of a surprise. I am happy to look lower down the market for value, and tried and find our third winner in 2014. Here are my tips for the 2014 AT&T Pebble Beach National Pro-Am. Jimmy Walker 25/1 (General) 2pts e/w: If memory serves me correctly, this may be the first time I have tipped Jimmy Walker, and I certainly didn’t expect to be doing it when he’s 25/1. This said, after going the length of time without a win that he did, it’s very easy to label a player as a non-winner, but after getting his first win in October, he went on to win again at the Sony Open four weeks ago, which leaves him at the head of the FedEx Cup rankings. This makes great reading for a player, who in truth had a very good golf game, and just needed to get a win under his belt, before potentially opening the floodgates. He has two wins in this wraparound season, and I fancy him to contend for a third here at Pebble Beach. In the last three years, Walker has finished in the top-10 on all three occasions, with finishes of 3-9-9 and now he has the winning mentality I can certainly see him improving on that further. We know Walker can shoot low scores, both of his wins required a -17 score and if he can shoot around that number again this week, he should be heavily involved in the final outcome, come Sunday. Sitting 3rd in Strokes-Gaines Putting, Walker has certainly got it going on the greens, and if he can find them on a regular basis this week, like he’s proven he can in the past, he should be confident on converting his chances with the putter. This time last year, I am happy to admit, I was probably laughing at his odds, but that’s the beauty of this game, and with two wins to his name, I am now happy to back him here at 25/1. He did miss the cut two weeks ago at Torrey Pines, but I am happy to forgive and forget that, especially as he had the fortune of the media circus that occurs when playing in Tiger Woods’ group. Patrick Reed 40/1 (Coral & Ladbrokes) 1.5pts e/w: This makes it three events in a row, that Reed has played in, that I have backed him in, and at an ever-decreasing price. I tipped him to win the Humana Challenge, which he duly converted at 100/1, and also again last week at Phoenix Open, where he was 75/1. At 40/1 his price has shortened by a significant amount, but I still think he represents good value, and I am happy to go with him again, until he gives me reason not too. He followed up his win three weeks ago, with a 19th place finish last week, very respectable considering it came two weeks after a win, and a rib injury. That injury didn’t effect his game too much, as he got off to a quick start last week, and I am hoping he can do the same once more. Last year, on his only visit to Pebble Beach, Reed finished in 7th place, which is very respectable given the nature of the event. He has become a two-time winner on Tour since, and performed to a high standard in some very big events, so I struggle to find reasons to oppose him this time around. I am sure he will run out of steam eventually, but until he shows signs of doing that, I am keeping him onside, as he looks a great prospect once again this week. Russell Knox 100/1 (Betfred & Totesport) 1pt e/w: Lastly, I present you with my outside pick this week, Scotland’s Russel Knox, who’s been turning some heads in recent weeks. In this wraparound season, Knox has only missed the cut on one occasion, at the Sony Open in Hawaii, and apart from that has finished T32 or better in the other six events, very solid form indeed. The best of his performances have come in his last two events, the Farmers Insurance Open, where he finished T10 on a very difficult course (Torrey Pines) and T13 at the Humana Challenge where he shot -20 and still couldn’t impact the end result. All positive signs for a player, who is still looking to solidify his position on the PGA Tour after earning his card via the Web.com Tour last year. Knox had managed a win on the Web.com at the Chiquita Classic in 2011, where he shot -25, too finish three strokes clear of runner-up Billy Hurley III. This sort of course and event, looks a good for Knox in my opinion, and he’ll be looking to build on the 28th place finish here in 2013, in what was he second effort on this course. He can improve once again, and continue his progressive form at Pebble, as he will come into this week, full of confidence after a good start to 2014. Currently sitting 18th in Driving Accuracy and 20th in Greens in Regulation, it’s clear that Knox is striking the ball well and if he can continue to improve on his putting, he looks set for a good solid year in his rookie season. At 100/1 I am happy to find out if Knox can keep up his good form, and indeed build on his 28th place finish, he posted here 12 months ago. A slightly disappointing week for our picks on the PGA Tour last week, was consolidated by a winner on the European Tour, however I am keen to find a winner once more on this side of the pond, and continue the good form so far in 2014. If you have any feedback or questions, don’t hesitate to contact me on Twitter @TJacobsGolf.